Organic Fertilizer vs. Synthetic: What's the Difference? 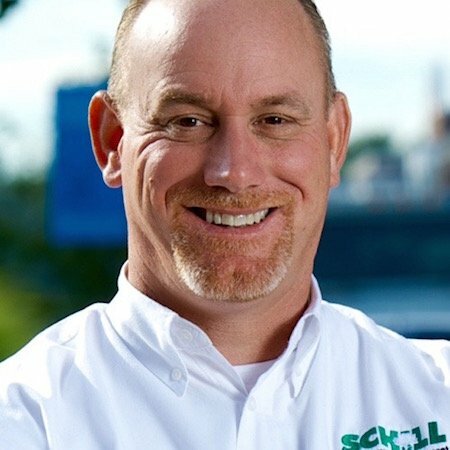 Here at Schill, we pride ourselves on being one of the most environmentally friendly landscaping companies in Northeast Ohio. Caring for your landscape makes us environmental stewards. That means thinking consciously about how we maintain your property to guarantee we’re not harming your landscape. We do this by working hard to improve the quality of the soil, and not just treating the plant. We also put a lot of thought into the chemicals and products we use, making sure that we’re being as efficient as we can and wasting as little as possible. 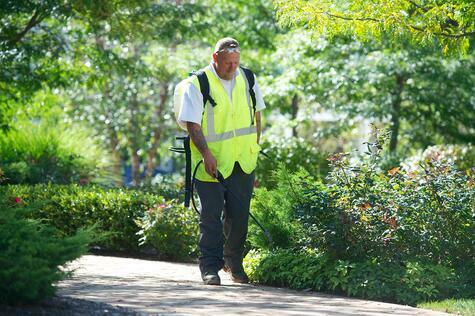 Fertilizer is essential to making sure the plants in your commercial landscape are the healthiest they can be. Unfortunately, in the past the use of synthetic fertilizers alone (sometimes referred to as inorganic fertilizer or just regular fertilizer) hasn’t been the best for long-term health of plants, and have done significant damage to the environment. According to Sam Weil, friend of Schill and sales rep at Advanced Turf Solutions, synthetic fertilizers are the fast food of plant nourishment. They provide macronutrients—the chemical compounds plants need in large amounts to thrive—but no micronutrients. This results in plants that look good, grow fast, and have enhanced colors, but are ultimately less healthy. In that same vein, eating at McDonalds or Burger King every day for a year will keep you alive, but it won’t take very long for your body to feel the effects. Micronutrients for plants work just like vitamins and minerals do for humans. We only need them in very small amounts (micrograms and milligrams), but if we don’t have them our bodies can shut down. Just like vitamin deficiency can lead to diseases like scurvy and rickets in people, the lack of micronutrients can expose plants to a host of diseases. You can also think of synthetic fertilizer like steroids for plants. Humans who abuse anabolic steroids can grow larger or stronger. While there will be positive effects on some systems of the body (i.e. the muscular system), other systems will be negatively affected (like the digestive system). Similarly, while plants may grow larger when using synthetic fertilizer, the result is often soil that is depleted of nutrients. This will make it difficult for future plants to grow properly in their place. But what’s so bad about macronutrients if plants need them? As we’ll explain below, too much of anything can be a bad thing. When paired with micronutrients, macronutrients provide more balanced nutrition for the plant and the soil. That’s exactly what organic fertilizer allows. Nitrogen is a macronutrient, so plants need it in large amounts. But too much of it can do (and has done) serious damage to the environment. Nitrous oxide is a greenhouse gas that’s three times more powerful than carbon dioxide. It gets released into the air as a byproduct of the chemicals in synthetic fertilizer. 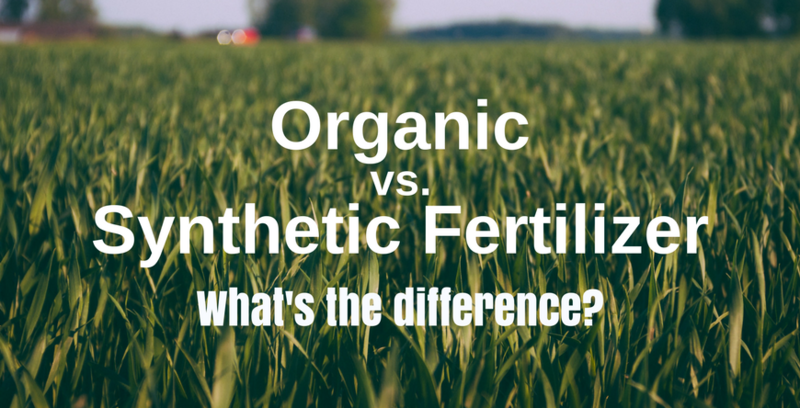 Organic fertilizers still utilize nitrogen, but they can use up to half as much as synthetic. This means that more of the nitrogen used is being absorbed by plants and less is lost to the surrounding environment. If you want to know more how nitrogen works in soil, check out this great video from Yara International. Those native to Northeast Ohio know all about the algae blooms that threaten fish and wildlife in Lake Erie. In the past, many incorrectly blamed pollution from factories and urban industries for being the sole cause of the bloom. We now know that the runoff of phosphorous (another macronutrient plants need) is also a significant contributor. Because phosphorous is essential for plant health, organic fertilizers do use it. But the micronutrients used in organic fertilizer allow for a significant reduction of phosphorous compared to regular or synthetic fertilizers. So why do people still think organic fertilizers don’t work? Sam Weil, who also has a background in plant pathology, thinks it’s due to the lack of knowledge that some people think organic fertilizers are ineffective. For a long time, people automatically assumed that you had to live with weeds and insects if you wanted to go organic. Thankfully, that isn’t the case anymore. As recently as a hundred years ago, Sam says, we solely relied on organic technology. But much of that knowledge was lost with the rise of synthetic fertilizers, which gave greater yields (albeit only in the short term). Therefore, many of the advances in the organic fertilizer industry have been scientific rediscoveries of the benefits of traditional methods. And not all organic fertilizers are created equally. It’s important to have a frank discussion with your landscaping professional about the components of whatever type of fertilizer solution they’re using on your property. Will it improve the quality of your soil or leave it stripped of nutrients? 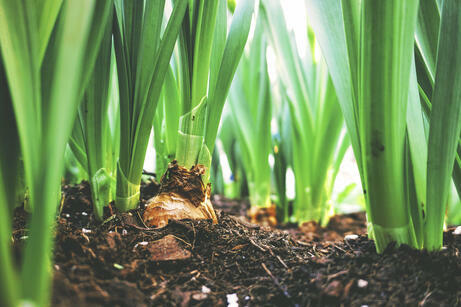 Does it use minimal amounts of phosphorous and nitrogen?Here at Schill, we use an organic-based fertilizer program developed in partnership with Holganix and ATS to be better for plants and the earth. On the other hand, consumers shouldn’t assume that organic fertilizers will perform well just because they’re natural. Not all fertilizer companies invest the same resources that ATS does into researching the best solutions. Financially, many property managers are eager to dismiss organic lawncare because they believe the cost is too high. Here at Schill, because sustainability is so important to us, we do not charge extra for our organic products. Instead, we use a hybrid approach using a mix of organic (about 90%) and synthetic fertilizers to reduce our ecological footprint (using half the nitrogen of a fully synthetic fertilizer program), provide the most cost effective solutions for our clients, and improve soil quality. The Schill team is excited about the effect that new technology is having on the landscaping industry, and we’re proud to work with companies like Advanced Turf Solutions who are working to disrupt old trends and make the world a greener place. If you’d like more information about how your property can benefit from sustainable practices, take a look at our free book below on Corporate Sustainability and your Bottom Line.